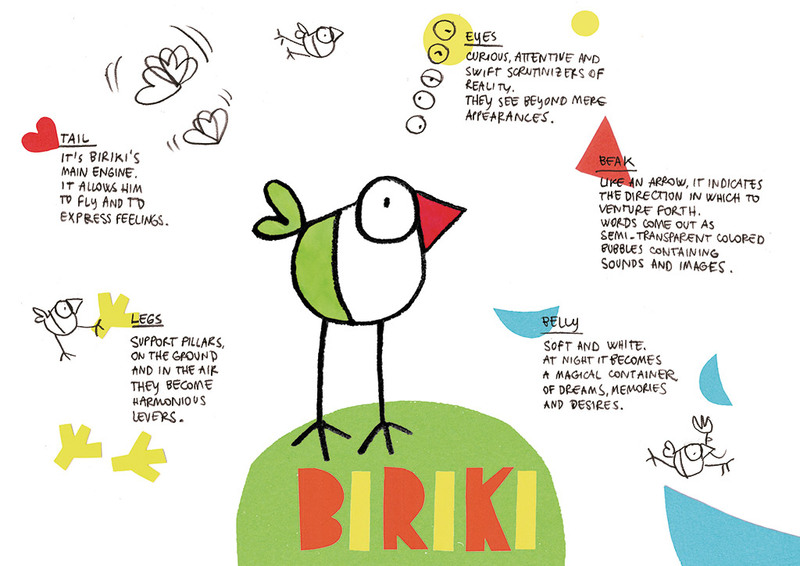 Biriki is a little bird drawn by Bruna Ferrazzini, born out of the desire to introduce children to the concepts of self-esteem, tolerance and respect for differences, using a playful and colorful approach.The adventures of Biriki teach kids to fly in a carefree and upbeat way through everyday experiences. Biriki is vivacious, sensitive, immediate and real. Biriki observes and listens to the reality around him without filters or prejudices. Biriki experiences what happens to him also when the situations become difficult or negative, he accepts them as opportunities to grow and understand the world and others. Biriki is made up of simple shapes – a heart, a round shape with a dot, a triangle, a half moon. His body is changeable, (de)constructed and can fold up. Biriki appears, disappears and blends into the landscape thanks to the changeable and playful characteristics of his body. Just like “every drop is part of an ocean”, so Biriki’s body, in its thousand transformations, is part of a greater universe. Biriki is never alone. With him is Meleo, the chameleon, who with his cheerful nature accompanies Biriki on a thousand adventures. 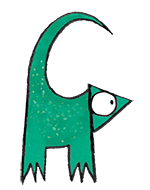 Funny, happy-go-luck, lazy, slow and also very fast, when you least expect it, Meleo is a special chameleon with an extra-long, prehensile tongue that creates magical objects. 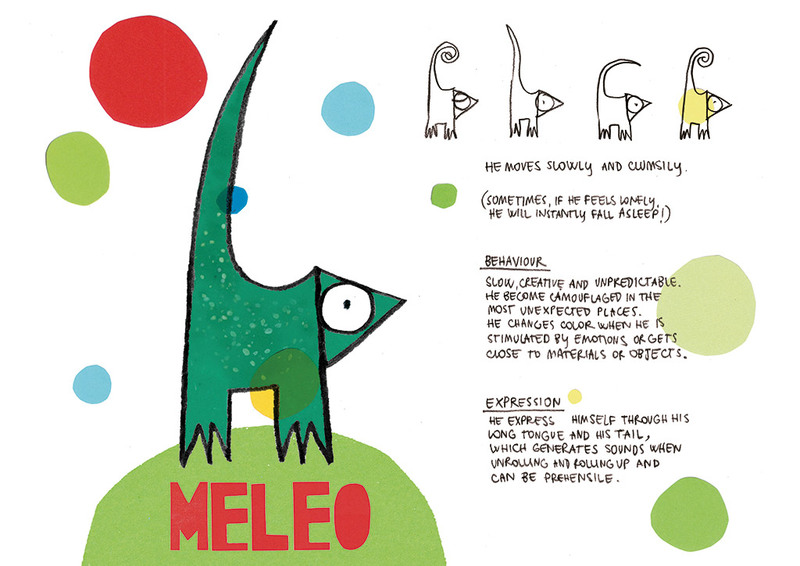 Meleo, like any good chameleon, changes color when he gets excited or feels empathy towards other characters or things.